Visual FX expert Peter Kuran looks at the field today in a computer-centric world. The digital revolution affected video before many other industries, in particular special effects. Portlanders are trying to adapt to the modern tools. as the city markets itself as a creative hub. We talked to three effects gurus — small, medium and old —about the state of the art. "My first job was "Star Wars", I was 19. It came out in 1977." That should be enough of a resume to impress anyone. 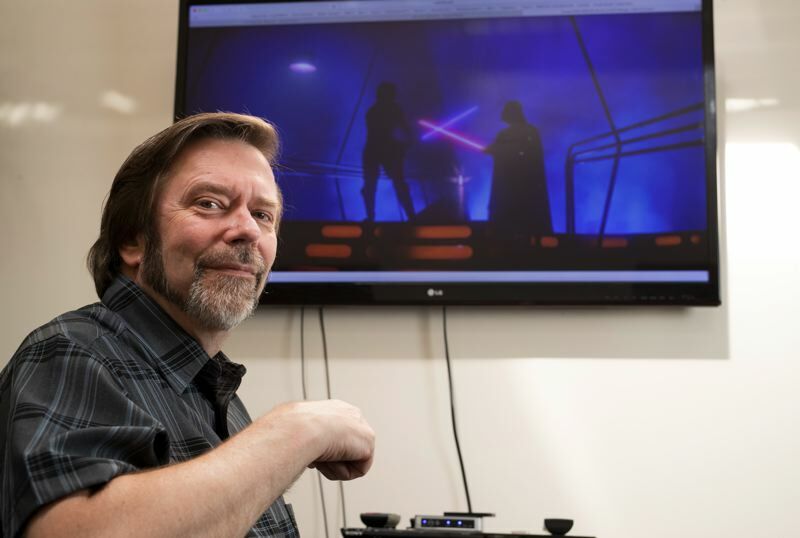 After working on the first three Star Wars movies, Peter Kuran had a long career in movie visual effects. (IMDB lists 82 movies.) He worked on such popular movies as "Men in Black," "Basic Instinct," "Beetlejuice," "RoboCop" and "Gremlins". He has also directed five documentaries about nuclear weapons, using government footage. All the explosions were real. After Star Wars he had his own effects company, Visual Concept Entertainment. "I like to figure out problems, especially problems around film," he told the Business Tribune. In 1983 his firm VCE had around a 15 percent share of all the FX work in Hollywood. "George Lucas was looking at me like I was a threat to them (Industrial Light & Magic)," he says with a chuckle. "I only do effects work now because people I've worked with over 30 years ask me to." Most recently he worked in the Michael Keaton movie "Founder" about the founder of McDonald's restaurants. He took out a lot of cell phone towers to preserve that post-WW2 look. In his heyday he loved visual effects for the problem solving they required. For example, he did the opening title sequence of John Carpenter movie "The Thing." It shows the words The THING in white letters with rays of light coming though them. Kuran took a fish tank and painted the back black, masking it where the letters would be so they were clear. He filled the tank with smoke. He put a light behind the tank and the camera in front of it. He stretched a black garbage bag over the back and touched it in different spots with a burning match. As the bag melted and shrunk away, it let in the light and revealed the glowing words. Three Dimensional lettering in smoke? Now there's a program called Shine which can do that. "Nowadays its like there's probably a plug-in for this. I particularly liked working before the computer. You had to find ways of doing things out of nothing, like 'What am I going to do to make this work?'" Another of his favorites was in "Beetlejuice." He was asked to shoot a toy car driving off a table, landing on the floor and carrying on. No toy car lands perfectly like that, so he had to think laterally. "I had the idea to raise the floor next to the table, and push the car backwards toward the table. Then I took a hammer and hit the underside of the floor. The car jumped up and landed on the table. Then we ran the film backward. It's really stupid but it was a way of coming up with a solution when we didn't have many choices." Nowadays, he says, "If you're trying to visualize what you want you're thinking totally in terms of the computer. To me it's a more sterile environment." He noticed that producers had less respect for him and his FX colleagues as Hollywood's computer use grew. "Before that it was 'I don't know how you're doing this, but I know you're going to make this work.' Then it became 'You're just doing it on a computer, my secretary has a computer...' The optical department, the model department, the animation department... all of these things are all on one computer now." When asked what he does to get visual or cultural stimulation, Kuran says he goes to see friends in California. They talk shop. If he has time he goes to Los Angeles, but every month and a half he goes to the Bay Area to feed his working passion. 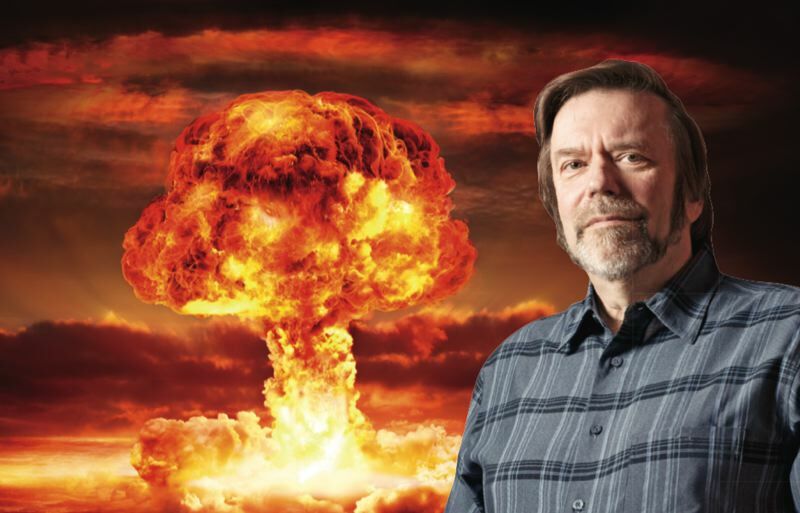 He is contracted with the Lawrence Livermore National Laboratory in the Bay Area, and has become an expert in restoring archival film of nuclear weapons tests. The military tested hundreds of atom bombs before tests were banned, and like a modern studio, they photographed everything, from every angle. In fact, Kuran won an Academy Award for figuring out how to prevent color film from fading. 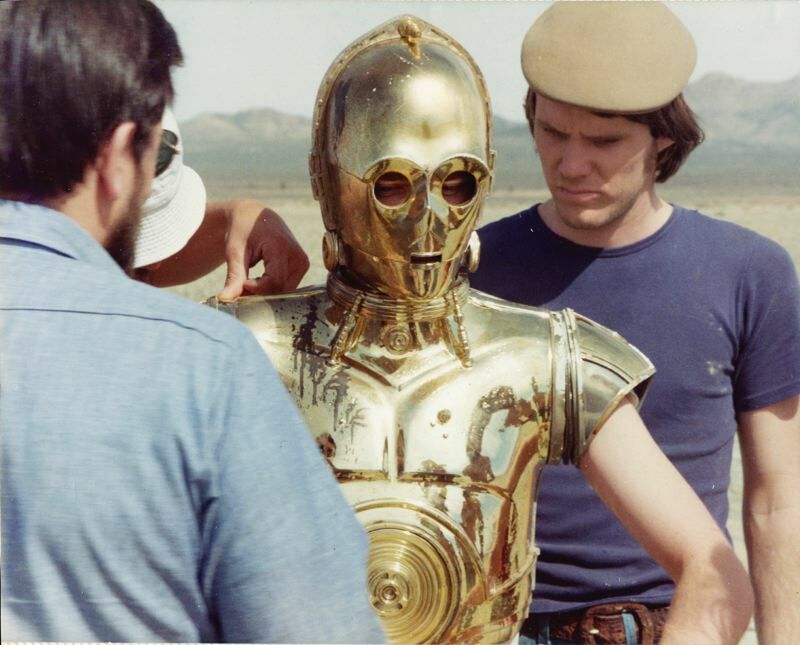 "The technique was based on something I had done for 'Return of the Jedi,'" he says. In a scene of a lightsaber fight in the desert, he figured out that colors washed out. He used a yellow mat rather than a black one around the lightsabers. The technique worked on old film too. However, it later became easier to scan and digitize old film than paint it. "If there was no digital industry I'd be very rich (from licensing the technology). It only got me an Academy Award." Once he spotted a frame missing from film of one spherical bomb burst. "The scientists were like 'How can you tell?' I said 'Well, I used to be an animator.'" The program they had put together to scan the film skipped a frame every 108 frames. (their yield calculations). Sometimes it helps to be able to see things one frame at a time." In a recent Jack Reacher movie with Tom Cruise, he worked on a shot where a man punches out a restaurant window. In reality, there was no glass in the window, but the crew threw broken glass through the air. He had to manipulate it into place. Another common trick is removing the reflection of the film crew from an actor's sunglasses. He used to have to wait a day to see the print. Now the correction can be made in minutes on the screen. Sometimes he thinks it's all a bit too much. "Now a producer has the choice of saying 'Can we start this guy a little sooner?'" Meaning isolate an actor and start his dialog or action at a different time. "The term for that is frame f—-ing. Well, now we're getting down to pixel f—-ing." He says with big studios paying $100,000 a day to shoot, they want effects done quickly. "In the past I'd say I can't pull that, shoot it better. But now the programs fix everything. Instead of getting more creative, they get lazier." In "Gremlins" he had to remove the humans operating the puppets as they scurried around. "The director used to say 'Throw away your watches, here comes the FX shot!' We were always scheduled for the end of the day, then we'd get bumped to early morning. The crew always say 'You get what you get.' I'd spend all day eating food off the table then work in post production." Portland officially pitches itself as a creative city. (Amazon wants) " Communities that think big and creatively. It's not our first rodeo. World-class transit in Greater Portland connects our urban and suburban communities, and our region has literally been in the think-big driver's seat for the last 30 years. Creativity may as well be our middle name with firms such as Wieden+Kennedy, ZGF Architects and Ziba Design calling our community home. Creative occupations grew by more than 22 percent from 2003-2013, substantially outpacing the national figure of 4.7 percent. We're a creative human capital powerhouse." Steve Emerson talked to the Business Tribune about the state of effects. LAIKA movies are aggressively analog — those are real puppets, on armatures, that are moved tiny amounts and filmed in stop motion. As Emerson says, "In stop motion you don't see a lot of characters and environments." It's too much work. Emerson is the Visual Effect supervisor, overseeing 80 artists in a team of 400 making their next movie in Washington County. "We're not using plug-ins," he says with a laugh. "No one that makes water systems out of garbage bags and skies out of cotton would. We always try to get an image in camera." Team heads and executives meet to discuss storyboards and figure out the best way to do each shot. "The rule is we are a stop motion company at our core, and we're here to honor the art of stop motion and in camera practices." To make a stormy ocean with characters getting in and out of boats in "Kubo and the Two Strings" they used garbage bags and a wire mesh grid. When they digitized it, it had that stop motion look, rather than a slick digital one. "Any producer would say we've got to simplify this, but that's not Travis (Knight). That's not how we do it. What's most important is it's servicing the story," says Emerson. In "ParaNorman," for the overflowing toilet scene, they 3D-printed water droplets and moved them around frame-by-frame, and also used KY Jelly. "We don't have the luxury of an ocean tool kit or plug-in that creates fire." Nor would they use one. Emerson's mentor told him "The computer is a paintbrush." 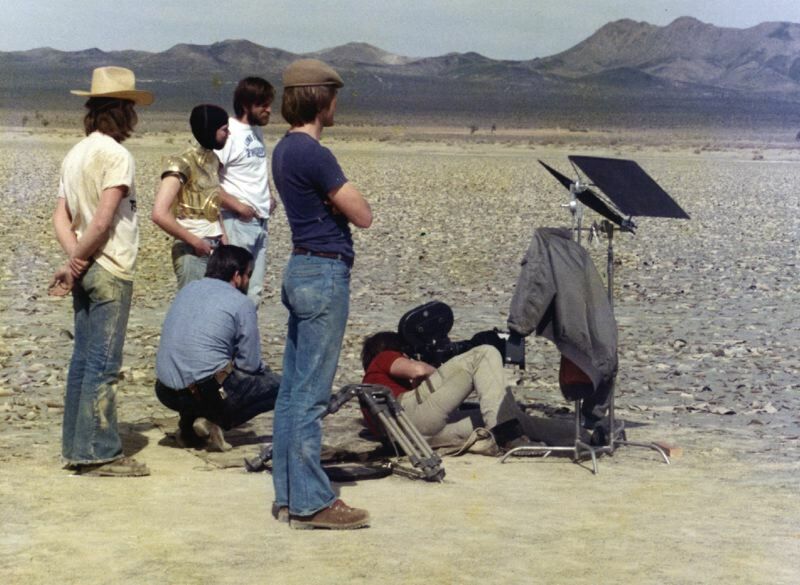 He was hugely influenced by the early days of Industrial Light & Magic and the "movie magic" of the 1970s and 1980s. "In 'Empire,' the Planet Hoth...I had no idea how they did it. 'Terminator 2' with the morphing, it blew my mind." If there's a lack of creativity in moviemaking today it's in the mindset that chases franchises just to make money. "It's little bit disheartening. It's another reason I love LAIKA. We're committed to telling original stories." LAIKA is currently working on an unannounced movie. Its fifth movie will be a follow up to "Kubo and the Two Strings." Hinge is a well-regarded creative studio in Northwest Portland on the cutting edge of software and creativity. Together with alumni of Sony, Disney and LAIKA, Roland Gauthier formed Hinge in 2009 to work in live action, 2D & 3D animation and post-production visual effects. Portlanders may have seen their work for Toonami on Cartoon Network, the animated egg characters for NW Natural, the CARFAX Car Fox commercials or some Travel Portland animations based on food carts. Gauthier says the software programs available today are just the latest tools of the moviemaking craft, and he still looks first for artistic flair and creativity in the people who use them. "New software and hardware innovations help make our creative process faster and more efficient. With increased GPU and CPU power and rendering in the cloud, our team doesn't have to wait as long to see results." This means artists can iterate quickly and further refine their work. It also means the client or director can get more opportunities to see progress towards the final product. The new iPhones with their face recognition and AR capabilities have piqued his interest, as he is due for an upgrade. He is also very tempted by the OLED screen to preview Hinge work on the go. The sense of power in the hands of makers and consumers alike it strong right now. Gauthier and Hinge are pushing hard to bring their immersive visuals and storytelling into AR and VR (Augmented and Virtual Realities), and also use those new tools to make moviemaking easier. Directors, for instance, can now don VR goggles and "walk through" a complicated shot before they shoot it. "That's good to do before you rent a helicopter." One thing Peter Kuran likes about his work at Livermore is that the public domain film, once he has worked on it, can be copyrighted and licensed, bringing him repeat income. "It's not like a service where you get paid once." His documentary "Trinity and Beyond" uses archival footage from the military to tell the story of nuclear weapons testing, from the Manhattan Project to Bikini Atoll and even atmospheric tests, where weapons were set off un the atmosphere raining radioactive dust on the world. It charts the rise of the USSR's arsenal and ends with Chinese cavalry, horses in gas masks, charging into a nuclear war zone. Such tests were banned and moved underground. Kuran says the biggest atom bomb the U.S. every tested underground was in Alaska. "They dug a shaft one mile deep, to where 100 degree (F) water was coming out into the shaft. The blast caused 100 aftershocks. It raised the ground 25 feet above the surface, and the films show the water jumping out of the little lakes all around the site." In another case, the U.S. detonated a modest bomb underground in Mississippi, which created a huge chamber. They waited a couple of years for the chamber to cool. The they tested the theory of coupling and uncoupling. They detonated another bomb in side the chamber and the seismic shocks were smaller, because the bomb was not as constrained. Kuran says this was a surreptitious way of continuing banned tests while fudging the measurements. "It's something that has the ability to still surprise you," he says of the footage he finds. The scientists he works with are more stimulating than movie folk, and he is learning a lot about physics. "I can see how people who created the bomb had a reckoning when they dropped it on Hiroshima and Nagasaki. But they were thinking about it from a physics standpoint. Today, the warlike rhetoric of President Trump and North Korea's Kim Jong Un does not frighten him. He says both are "idiots," and that North Korea has not yet figured out how to target a bomb from space. He takes the view that if you are three miles from ground zero of a 15 megaton bomb, you will be fried, but if you are 20 miles you'll feel the heat but survive. "I'd feel safe." In school, he thrilled at films made by Frank Capra for Bell Labs such as "Our Mr. Sun," "The Strange Case of the Cosmic Rays," and "Hemo The Magnificent." Later, all three of his daughters were shown his "Trinity" film in class by different teachers. "Each time the teacher saw my name on the credits and asked them 'Do you know this guy Kuran?' They were so embarrassed. Different teacher, same embarrassment."